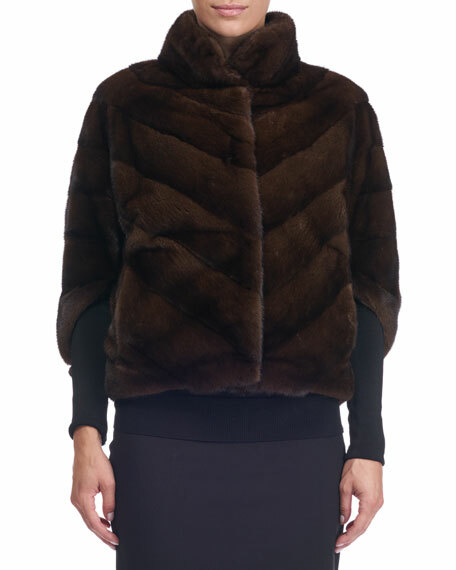 Gorski jacket in chevron Zimbal® natural mink (USA) fur. Stand collar; hidden front closure. For in-store inquiries, use sku #2336610.